HAPPY LABOR DAY FELLOW SLAVES - Hello! Welcome to my blog! To those who work their asses off. To those who have no sleep. To those who skips lunch and dinner. To those who ran out of social life. while they themselves are on leave while you stay up so late. To those who have been with the company for so long that they forgot to give you a raise. To those who misses holidays just to get double pays. To those who sacrifices family dinners and gatherings just for that extra few hours. To those who keeps on working but nobody notices you. To those whose achievements are outweighed by one mistake. To those who feel replaceable. To you my good friend... This day is for you.. for me and for us. May today be an eye opener for everyone and reflect where we are with our jobs & careers. All I am saying is....The grass may just be greener on the other side. 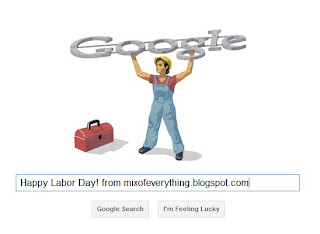 So you want info on Labor day? Yeah right. Click me. I rant and this is Mix signing out!